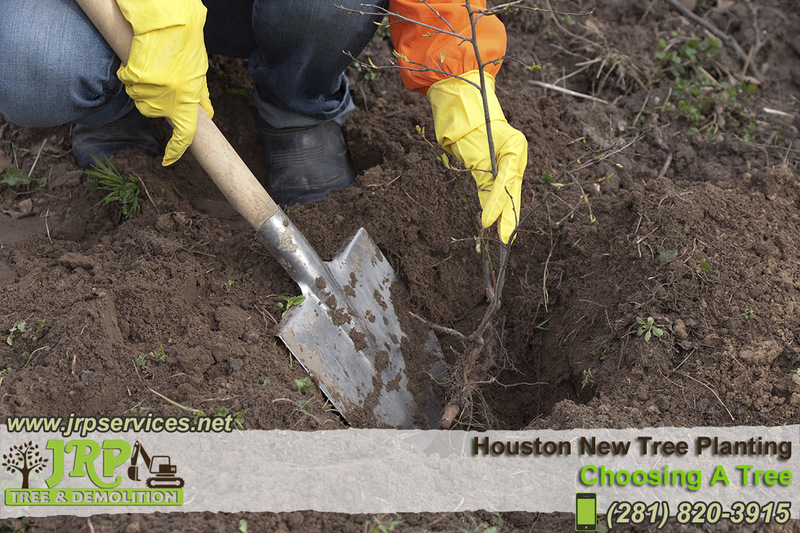 The first step in tree selection is to determine the type of tree appropriate for your property and your needs. Climate and soil play big roles. A date palm might have a tough time surviving a Minneapolis winter, for example. Matching tree to site is a key part of the tree selection process. What is the size of the site on which your new tree or trees will be situated? How big will that spindly three-foot sapling be in 30 or 40 years? Is an oak or a willow, either very large when fully grown, the best tree for a small front lawn in a city? On a large suburban lot, on the other hand, will a single small tree or bush be lost in a vast expanse of lawn? A crucial factor to consider is proximity to buildings, sidewalks, driveways, streets, utility lines, overhead and buried, and septic systems. Trees spread out both above and below ground and branch overhang and root growth can cause considerable damage and incur considerable expense if a tree is poorly situated. Consider the planting location with respect to foundation, concrete and asphalt structures, and drainage structures. Drainage is yet another issue to consider. Young trees do best when planted in good-quality, well-drained loamy soil. Heavy clays in poorly-drained sites present particular problems as many species of trees including white firs, yellowwoods, beeches, red oaks and yews will not tolerate ‘wet feet.’ In all cases, stagnant water pooling around roots can lead to ‘root rot’ caused by lack of available oxygen. You can do a general test for soil drainage by digging a hole in the planting area and filling it with water. If the water hasn’t drained away in a couple of hours, drainage may be an issue. In areas where drainage is a particular problem, planting in raised beds of 12 to 18 inches of well-drained quality topsoil may be a solution. Soil quality in new subdivisions often presents tree-planting problems. Construction materials, in addition to creating unsightly and difficult-to-work rubble, can alter the soils fertility by raising or lowering pH. Chemical and petroleum spills, which often occur during building construction, pose additional concerns. In cases where soil contamination is severe, the only solution may be to scrape away the contaminated soil and replace it with good quality topsoil at a depth associated with your planting objectives.